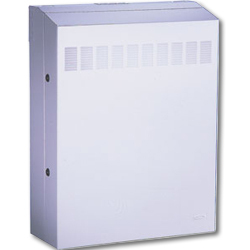 16 gauge equipment cabinet specifically designed for housing remote and network equipment. Includes dedicated mounting for hubs and other active equipment as well as dedicated mounting area for patch panels. Load capacity - 100 lbs.